Today, the National Organization of Gay and Lesbian Scientists and Technical Professionals (NOGLSTP) is proud to announce the winners of its 2019 recognition awards for lesbian, gay, bisexual, transgender, and queer (LGBTQ+) professionals in science, technology, engineering, and math (STEM). Dr. Benny C. Chan believes that being out as a gay man has, over the long run, worked to the benefit of his career as a chemistry educator and researcher. His public efforts to support LGBTQ+ chemists and students established a network of professional relationships that enabled his current research into educational equity in STEM. “If I were not gay, I would likely not have encountered the social science of diversity and privilege,” Chan said. Chan is a Professor of Chemistry at The College of New Jersey (TCNJ). He is recognized on campus and by his colleagues across the country as an exemplary researcher-educator. Chan conducts laboratory research on the synthesis and structural analysis of rare earth and organometallic compounds. To conduct this research, he recruits and advises undergraduate students as research assistants. In addition to this chemistry research, he works with an interdisciplinary team of colleagues, including a sociologist, to research equity in education. His experiences and research conclusions in both areas feed back into his classroom teaching. Chan’s approach to his classes are “the result of considerable thought, reflection, and research,” said Dr. Jeffrey Osborn, Dean of the TCNJ School of Science. 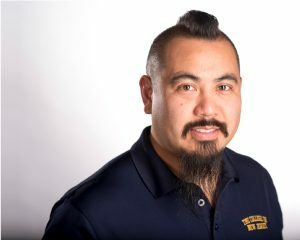 NOGLSTP is awarding Chan the 2019 LGBTQ+ Educator of the Year award for his outstanding contributions, at TCNJ and beyond, to improve STEM education and support the success of all students. Dr. Arianna T. Morales is a Staff Research Scientist with General Motors Global Research & Development. She develops novel materials and material processing techniques primarily to reduce the weight of vehicles, improving their efficiency either through fuel economy or electric range, without sacrificing safety or increasing cost. Her work with GM has resulted in over 24 patents with Morales as a named inventor. 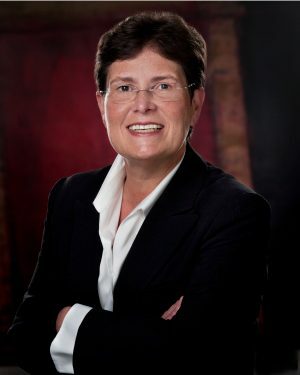 In addition to these professional successes, she invests in advocacy for civil rights and was recognized by the Michigan ACLU as its “Civil Libertarian of the Year” in 2011. Morales was born in Venezuela and immigrated to the U.S. for graduate school. She joined GM after that, and she remembers that she immediately stood out in her research lab as the only woman, the only Latina, and the only person not married. She feared that also being out as a lesbian would risk damaging crucial professional relationships. After about five years at GM, she joined and worked with GM Plus, GM’s LGBT employee resource group. Her work with GM Plus led her to decide that she could not make a sufficient difference for her LGBT colleagues if she did not come out at work. Until she came out, Morales did not realize how she was being constrained by the pressure of that secret. “The more guarded and distant you are, the fewer possibilities you have to connect with people,” she said. “In the end, the people you work and interact with are the most important aspects of your career.” She advises junior colleagues to be open about whoever they are in order to be most effective in their profession. NOGLSTP is awarding Morales its LGBTQ+ Engineer of the Year for 2019 in recognition of her success at repeatedly advancing the state-of-the-art in materials science, contributing to multiple successful products and processes at GM. Dr. Jon Freeman is a social neuroscientist, conducting research at the juncture of cognitive neuroscience and social psychology. His research uses brain-imaging, computational modeling, and innovative behavioral methods to explore the cognitive and neural mechanisms that underlie people’s split-second perceptions of others. These include the basis of snap judgments and unconscious bias. Freeman’s work has made a variety of insights, such as how the brain processes a face’s trustworthiness outside conscious awareness, or how stereotypes and prior experiences can distort the brain’s visual system. Freeman also developed a mouse-tracking technology that uses the millimeters of a person’s hand movements during rapid decision-making to reveal unconscious cognitive processes. This technology is now widely used by the research community. Freeman is an Associate Professor of Psychology and Neural Science at New York University. His scholarly publications, citations, and reputation within his fields already, though, look like that of a senior researcher, according to Dr. Kerri Johnson, a Professor of Psychology at the University of California, Los Angeles. “Jon’s research is innovative and creative; it is changing the landscape of psychological science by broadly impacting multiple disciplines, certainly because of his discoveries, but also because of his methods,” said Johnson. 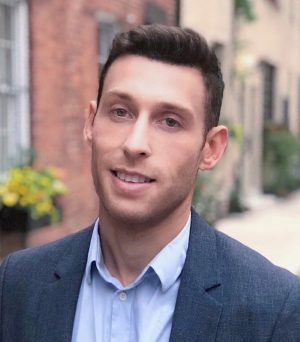 Freeman is a gay man, and his interest in how being LGBTQ+ in STEM impacts young professionals was peaked when a graduate student shared their experience of being told by a room of scientists in their field that sexual orientation and gender identity were “irrelevant” in STEM disciplines. From his own experience, his research, and the limited published studies into the question, this is not true. Freeman felt compelled to publicly advocate for greater understanding and inclusion. He published a commentary in Nature that gained wide attention, and he has led an effort for the National Science Foundation (NSF) to include questions about sexual orientation and gender identity in their nationwide surveys of STEM students and professionals. This collaborative work, which was supported by numerous organizations, scientists, engineers, and legal and public policy scholars, has led NSF to pilot these questions for future surveys. NOGLSTP is awarding Freeman the 2019 LGBTQ+ Scientist of the Year award in recognition of his exemplary, cross-disciplinary scientific contributions and his public advocacy on behalf of LGBTQ+ people in STEM. Dr. Lauren A. Esposito is a Curator at the California Academy of Sciences in San Francisco. She specializes in studying arachnids, and her current research investigates the patterns and processes of evolution in spiders, scorpions, and their venom. Her profession allows her to share what she has learned and discovered with other scientists and with the public through her tireless outreach and engagement. However, she felt that a critical aspect of herself and her queer colleagues was not shared, and this silence risked making them feel isolated or unwelcome in their fields. In 2018, Esposito created and launched the 500 Queer Scientists campaign to address this invisibility and isolation and promote diversity and inclusion in STEM. Esposito is a queer woman. She chooses to be open with her colleagues about her sexuality, but prior to 500 Queer Scientists she had never met another openly LGBTQ+ person in her specialized field of research. 500 Queer Scientists is a website and social media campaign that encourages LGBTQ+ people and their allies working in STEM around the world to submit a biography and photograph. Contributors share their professional interests and accomplishments and their sexual and gender identity. The website now hosts more than 700 self-submitted profiles and is still regularly receiving new contributions. Esposito’s efforts were supported by the website co-creator Laurel Allen from the California Academy of Sciences. Esposito believes that the 500 Queer Scientists website will continue to promote visibility of LGBTQ+ scientists and also offer a platform to connect and network. She plans to continue organizing efforts for and supporting the needs of people she has connected with as a result of the campaign. She has been struck that most contributors are primarily interested in celebrating one another’s professional accomplishments and contributions. “Creating this opportunity to share is uplifting for individuals, for the LGBTQ community, and for the STEM community,” Esposito said. 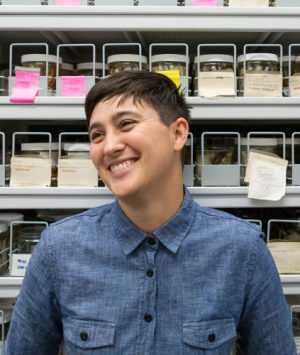 NOGLSTP is awarding Esposito the 2019 Walt Westman Award in recognition of the outstanding success of 500 Queer Scientists, the support it provides LGBTQ+ people in STEM, and her initiative and work to create it.